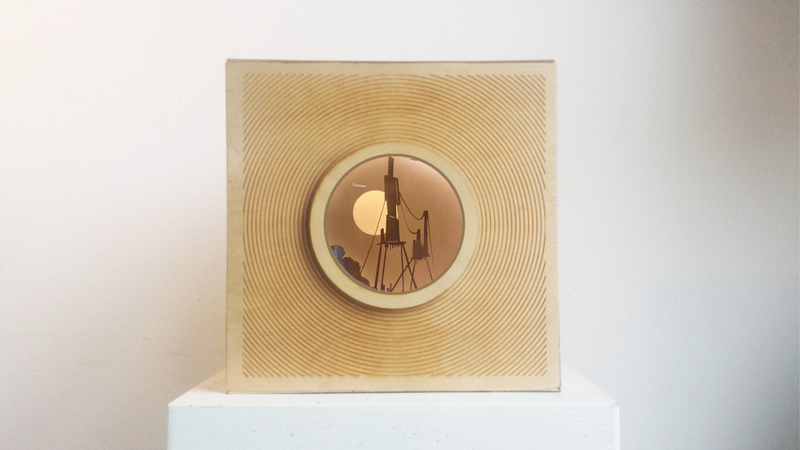 Proscenium is a wooden box with a laser etched, paper layered diorama within, viewed through a magnifying Iris. 'The area of a theatre surrounding the stage opening'. - An step-by-step guide explaining how to put your Proscenium together. - A A4 poster of your chosen design. - Ten laser-etched, 200 grams paper layers of your chosen design. • 5 x wooden plank of 30 x 30 x 0,6 cm. • 1 x wooden plank of 30 x 30 x 0,6 cm with a 10 cm diameter hole. • 1 x Magnifying lens of 10 x 0,5 cm. • 2 x wooden ring. • 1 x 50cl Wood glue. • 1 x Paper Tape. Here you can choose what design you like, and where you would like me to send your box to. (In case you already have a Proscenium box, you can decide to only order the inner design layers). Select the design(s) you would like. For additional costs you can also contact me for a custom design. In case you only want an exterior box, select 'none'. Once I have received your completed form, I will send you the billing information for you transaction! Thank you for sending me your order, I will contact you shortly via e-mail!